Well done Mr Ryan Bradley who passed his driving test at Colwick test centre today. A first time pass as well no less. 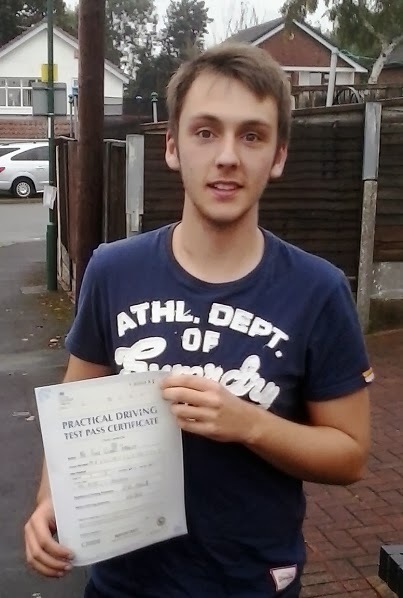 Hope you enjoyed your driving lessons Nottingham. No Passengers for Young Drivers?